Are you looking for a experienced and qualified mobile electrician? 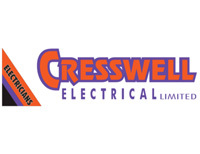 Cresswell Electrical (2017) Limited are specialists in complete Electrical Installations, Irrigation, Pumps, Power Factor Correction, Lighting, Heat Pumps and Electrical Design. We service all of Blenheim and surrounding areas from Picton, Havelock, Seddon, Ward, Awatere Valley, Waihopai Valley, Wairau Valley to Marlborough Sounds. We have a 24 hour electrician hotline for you to give us a call today. We pride ourselves on being prompt, reliable and professional and there is no job considered too large or too small. Our team of highly experienced and qualified electricians are able to get your job done, whether you are residential or industrial. Simply visit our website for more information or give us a call today to discuss your electrical needs. For a trusted and reliable specialist in all electrical installations, contact Cresswell Electrical (2017) Ltd. on our 24 hour electrician hotline.